The Sliding Pillar Rally in Molsheim, France, is the premier Lancia gathering of the year. Started in England some 25 years ago by Ade Rudler, the Pillar has grown ever since. It is held every other year in Europe, typically at the end of May, with about 70 older cars present this year. Lambdas, Dilambda, Astura, Artena, Aprilia, Ardea, Aurelia, Flaminia, Fulvia, and Flavias were all present, with people from Holland, Germany, Belgium, France, England, Italy, US, and Australia (probably missing a few). People brought copies of their book for signing, one man having made a wooden box to protect his copy while traveling. The presentation to about 40 people included additional material not in the book, with family shots, more details on engineering aspects, and some racing shots not seen before. 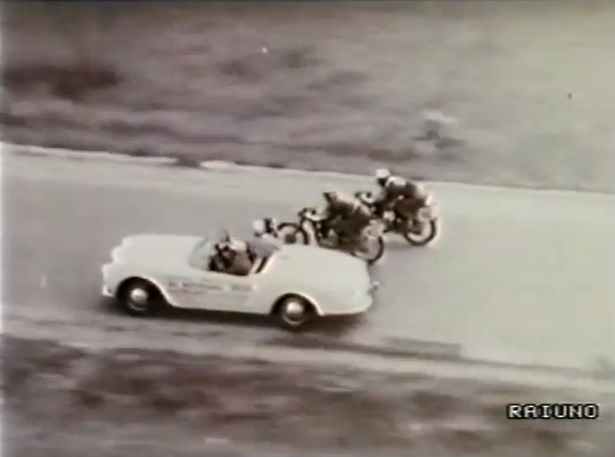 Of interest were the shots of the B24 Spider serving as a photographer’s chase car for the Italian Moto Giro. Widely recognized as a high point of industrial design, Italian automobiles of the 1950s are highly treasured. But why are they so special, and how were they made? Among the most interesting were those from Lancia in Turin, whose cars were known to be among the most technically advanced in the industry. Join Geoff Goldberg, Chicago architect and author of Lancia and De Virgilio, a detailed book on this company, its people, and its cars, as he shares how engineers at Lancia defined a company during its greatest years, followed by a discussion with Michael Darling, James W. Alsdorf Chief Curator at the Museum of Contemporary Art Chicago. With a full description on the side, the photographer changes his film! 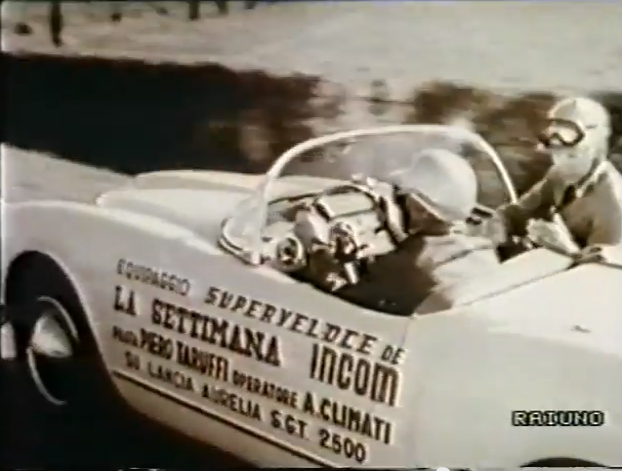 The footage of this B24 driving can be seen on the Ducati story DVD it’s a bonus for me as I’m a Ducati fan and owner of a Lancia Flavia and Ducati’s, great DVD.